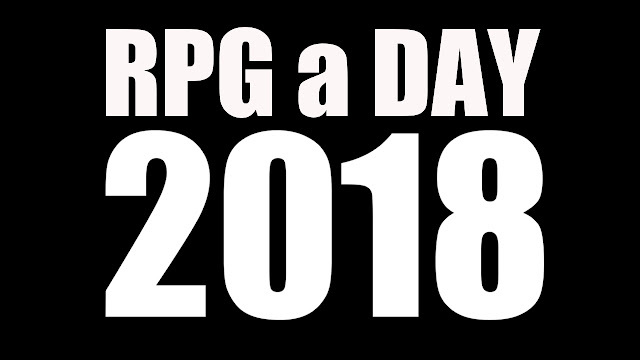 This is the 5th RPGaDAY, and this year what I was hoping to do was to get the involvement of some of the coolest people around when it comes to RPGs. Writers, developers, artists, streamers, publishers... everyone. If you're involved in any form of the RPG industry and want to get involved, please get in touch. Everyone who gets in touch can pick one of the questions from the previous four years' worth of RPGaDAY questions (the infographics are below so you can see what they were) and change it up a bit - to make it into a new question. We'll compile this into the new infographic for 2018, and unleash this onto the world in the very near future, ready for August. Then, on the day your question is used, we'll host a short interview - whether this is text or as a video - just to answer some basic questions like who you are, how you got started gaming, your favourite game, and to answer the question you set. If no one comes forward to join in, then Anthony Boyd (who has kindly volunteered to help again this year) and I will create the questions and we'll pootle along as normal. Either way, there will be questions, there will be an infographic, and once again we'll try to spread the word of how great our hobby is, and combat all the negativity that pollutes the interwebs. Second Best UK RPG Blog?